Chase has announced its payments service Chase Pay will launch at Walmart stores in the United States in 2017. 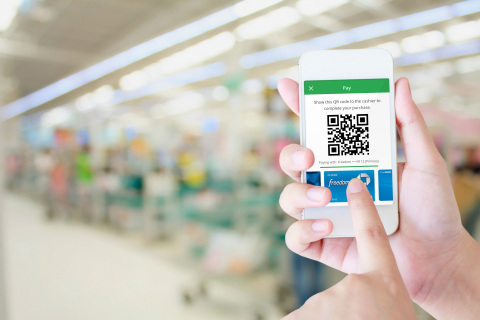 The digital wallet will be integrated into the Walmart app for in-store purchases, allowing Chase Visa credit and debit cardholders to pay at the checkout by showing a QR code to the cashier. Chase Pay will also be added to Walmart's website next year, allowing customers to make online purchases while earning rewards and receiving offers. The service secures transactions with token technology, which utilizes one-time complex codes to process transactions and keep card information secure. Chase Pay differs from Apple Pay, which uses contactless NFC technology and is secured with Touch ID in addition to tokenization. Walmart has so far refused to adopt Apple Pay, opting for QR code payments services like Walmart Pay and Chase Pay instead. The retailer has said it is open to supporting other digital wallets in the future. Chase Pay was created in partnership with MCX, the consortium behind the indefinitely postponed payments service CurrentC. Walmart was a leading member of MCX between 2012 and 2015, when the consortium's three-year exclusivity window expired. In 2014, Walmart explicitly said it would not accept Apple Pay. Walmart's app is a free download on the App Store [Direct Link] for iPhone. I can't believe the Cubs won the World Series before Walmart supported Apple Pay. "After it failed miserably in consumer testing, we've decided to not move forward with our payment method that requires you to open an app, scan a QR code and show your device to the cashier. But, good news! We are adopting a payment method that requires you to open an app, scan a QR code and show your device to the cashier." So sick of reading about WalMart and QR codes. I mean really - QR codes in 2016 when an option like Apple Pay is so readily available? The blatant disregard for consumers in this situation is disgusting. And I'll continue to not shop there. Good thing Target is working at accepting Apple Pay. They're taking a long time, but they say they're working on it. 'Chase Pay', because they're always going to be playing catch up.